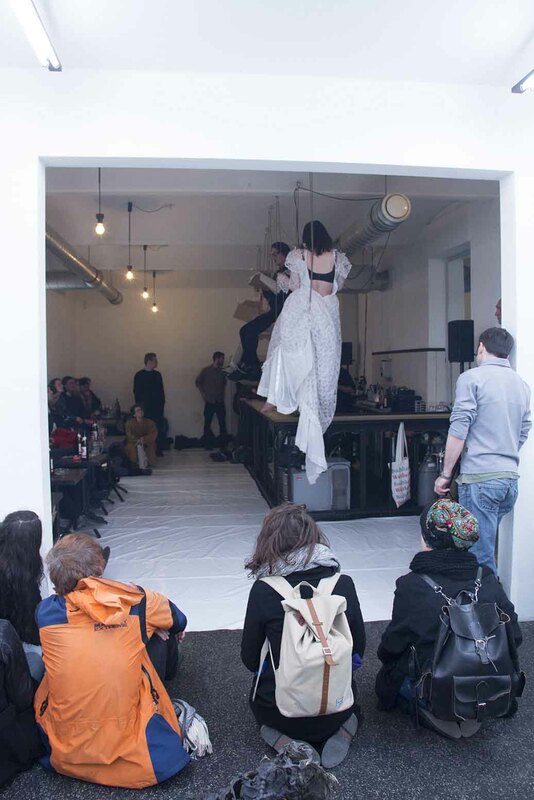 KRRR 01 is a performative intervention into the spatial and programmatic structure of the private bar and art gallery “Ve.Sch.” The area above the bar was transferred into a performance stage for one evening. 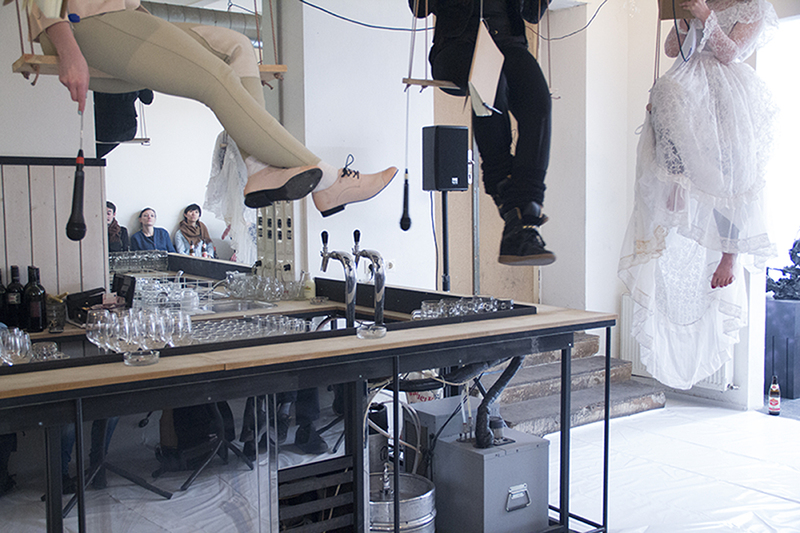 We attached two swings and one trapeze and placed a pool of artificial blood in the adjacent room. As performers, we embodied three female horror movie characters – the bride, the equestrian woman and the black hole. As the live performance continued through the evening we changed their original movie fate. As we swung above the bar, we assembled different sound passages from horror movies, for example Alfred Hitchcock’s ‘Psycho‘,‘The Birds‘ and Tobe Hopper's ‘The Texas Chainsaw Massacre‘. We retained the space and character descriptions but not the dialogue from the original scripts. They were assembled as a live collage. The characters and the various horror film crime locations blend into one another and melt into a live-scenery. Detached from their original movie context, we create independent (female) characters, which as stated before, overcome their fate (imminent death) to take matters into their own hands, to occupy space and to fill the entire room acoustically. Veronika Burger, Nora Jacobs and Nicole Sabella have worked together since 2013. They created their first project KRRR at the Viennese off-space ‘Ve.Sch – Space and Form in the visual Arts‘.